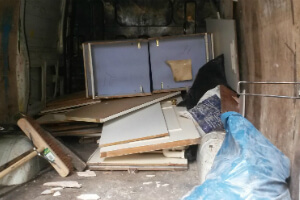 Residential & Industrial Junk Removal West London W | Quality Property Care Ltd.
We’ve performed in West London W for 10 years now and are sure our team can help you with your expert domestic or commercial junk removal. Call 020 3746 4287 for the best rubbish removal in the area and get your money’s worth each time. If you’ve completed gardening and have waste products that you cannot get rid of of yourself, worry not, we’ve got your back. We can remove plants and flowers, garden weeds, litter, plastic liners and bags, twigs, small branches, leaves,, animal bedding or straw, Christmas trees, plant containers, plants, pots, glass cuttings soil and turf and also hedges or hedge clippings. All of this is disposed safely, you will be notified if there are further expenses associated with particular items we are throwing out, before we get started the procedure of removal. We perform inside the bedroom, living room, children’s room, kitchen, garden and hallway. We can safely remove and dispose of bedside tables, beds, wardrobes dressing tables, ,mattresses, chests or drawers,, armchairs and sofas, side and coffee tables, living room storage TV stands and cabinets, console tables, shelving units, cot beds, , bunk beds, playgrounds, bunk beds,wardrobes, desk and chairs. In the kitchen we remove dining tables, stools and benches, dining chairs, umbrella, racks and stands, barbecues, shoe cabinets, hoods and hangers, wall shelves, baskets, portmanteaus. There are household items like fridges, freezers, fridges and so forth that require special disposal and have extra fees attached to them. While on the phone be sure to mention that type of sofas we are taking out as this will help us figure out how many men and what equipment to take. We prefer that you bag the items before we come, however, it is not necessary as our staff can do that as well. Starting with single mattresses, ovens, tables, washing machines, double mattress, divan beds, dryers,cupboards, TVs, PC monitors Kitchen units, single beds, fridges, armchairs, kitchen units,, freezer, book shelves, mirrors, 2 seated sofa, double bed, microwave, carpets, 3 seat sofas, king sized bed, wardrobes and bathroom tubs. These are just to name a few. Pieces like microwaves, TVs and tires are charged extra as they demand a special disposal approach to ensure their safe removal and recycling. We work with a wide rage of customers and are capable of doing and taking away quite a lot of various kinds of materials. Our domestic services include house clearance, garden clearance, garage clearance,, loft clearance and small household appliances. For the commercial services we do shop clearance, office clearance, Construction waste disposal, tire disposal, it materials , builders clearance and refurbishment waste disposal. All of this is done by professionally trained technicians who are able of working on both large and small projects. We have several vehicle types ready for work, based on the job at hand and the size of the furniture or other components we are removing. We can accommodate both large and small jobs, done all in one go without any hassle or additional specifications. 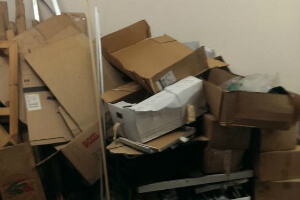 If professional junk removal service in West London W is a must for you, you are just on the best spot. Call this phone number: 020 3746 4287 and access our kind client support distributors. Fix rubbish removal service at this moment! Bring back the order around you and remove the last sign of the chaos right now!